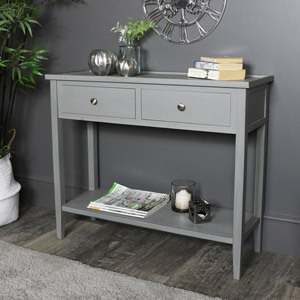 If you're looking for a table to add a statement and extra storage to any room, we've got one for you. 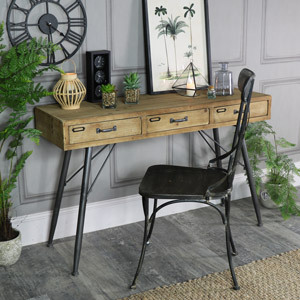 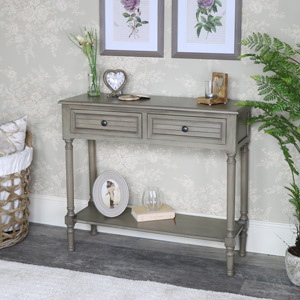 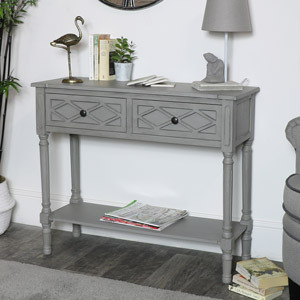 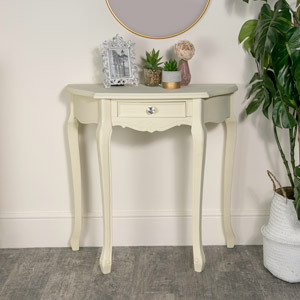 We have console tables in a gorgeous, farmhouse, shabby chic style, perfect for your entrance hall to ensure your guests are blown away! 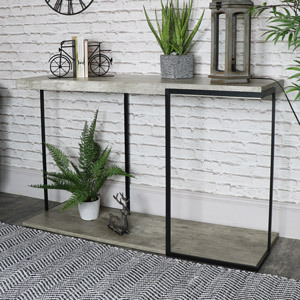 Console tables with added shelving perfectly compact for added storage in your living room. 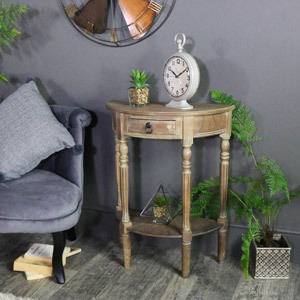 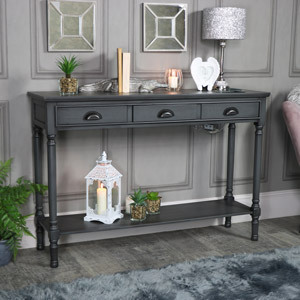 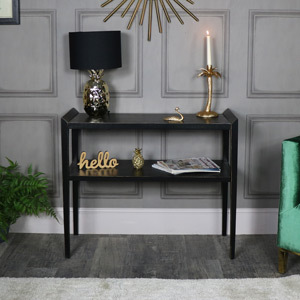 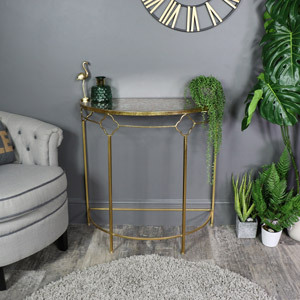 Demi lune, half moon, console tables to match the rest of your beautiful living room furniture, which ever fabulous range you decide you love the most! 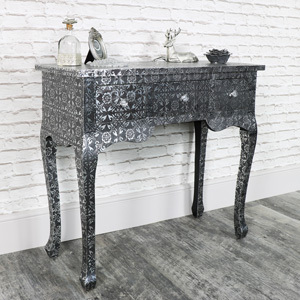 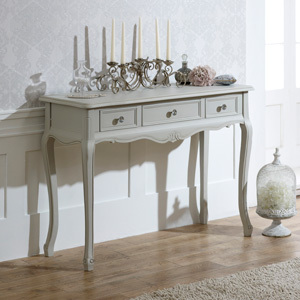 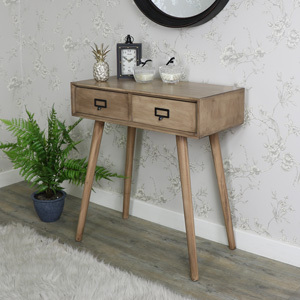 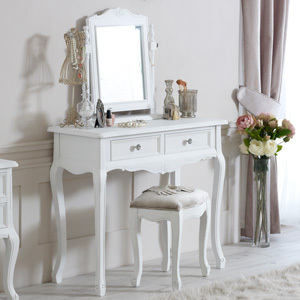 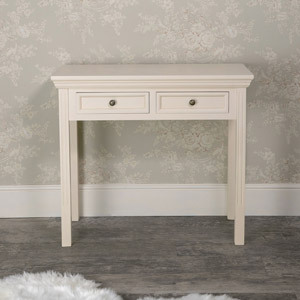 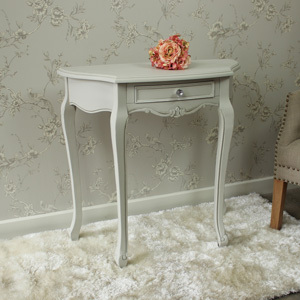 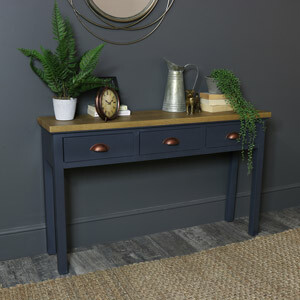 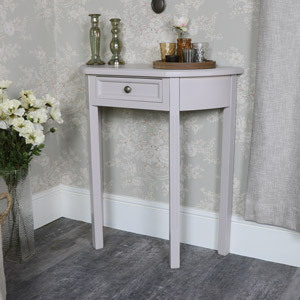 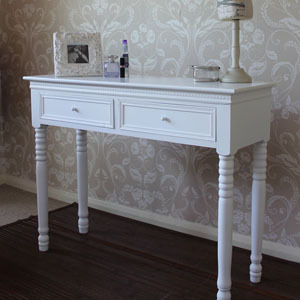 Console tables to give extra added to storage and display to any room in all styles and sizes. 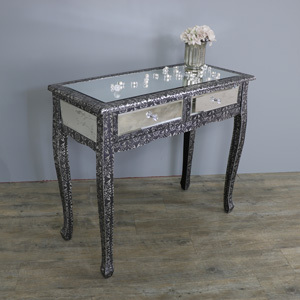 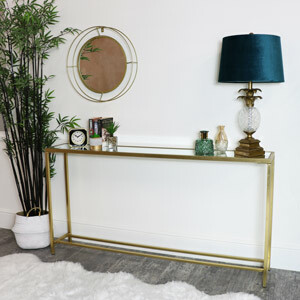 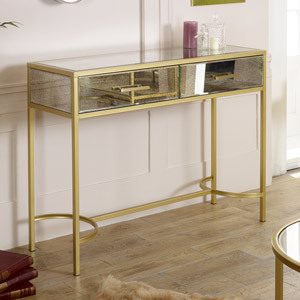 Create a bright, airy space with white painted tables Or even create a glitz and glam look with our timeless elegant range of mirrored console tables.